Celexa is a popular anti-depressant and a selective serotonin reuptake inhibitor. Many patients benefit from taking Celexa, but in some circumstances, as our Celexa lawyers are aware, it can cause serious medical complications or side effects. Most notably, Celexa has been linked to birth defects in the babies of pregnant women who were taking the medication. If you were pregnant and not warned of the risks of taking Celexa, the defective drug lawyers at Moll Law Group are available to represent you in bringing a claim for damages. Billions of dollars have been recovered in cases in which we have been involved. Medical research links Celexa and other SSRIs to birth defects when the SSRI is taken during the period between one month before pregnancy and the end of the first trimester. Some birth defects associated with Celexa use in pregnant women include anencephaly, craniosynostosis, and omphalocele. Anencephaly occurs when a part of a baby's skull or brain is missing. Craniosynostosis occurs when a skull suture is fused too early. Omphalocele occurs when organs protrude outside the belly button. A 200% increased risk of autism is also associated with Celexa use during pregnancy. In some cases, newborns exposed to Celexa in utero are diagnosed with persistent pulmonary hypertension and have grave difficulty breathing. This condition can result in death. When an SSRI is taken late in the second trimester or in the third trimester, the baby has six times the risk of being born with persistent pulmonary hypertension compared to babies of mothers not exposed to SSRIs. 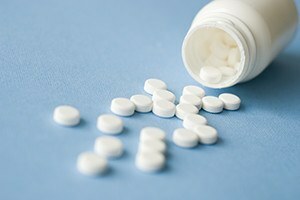 Although an increased risk has been found in some studies, the literature is not conclusive, and the FDA has stated that the connection between infant hypertension and SSRI use is not clear. If your newborn has suffered a birth defect, and you took Celexa during pregnancy, you should consult an experienced product liability attorney. The manufacturers of Celexa and other SSRIs may be accountable for a failure to warn. A failure to warn is considered a marketing defect and may be the basis of strict liability. Many mothers-to-be would not take Celexa if they fully understood the risks to their unborn children. Compensatory damages may be available to a plaintiff who successfully establishes a product liability claim with the assistance of a Celexa lawyer. These damages include compensation for both economic and noneconomic losses arising out of a baby's birth defect. Generally, a manufacturer notifies doctors of any serious risks associated with the use of their pharmaceuticals. Under the learned intermediary doctrine, a manufacturer who adequately identifies the hazards of a Celexa prescription to doctors will not be held responsible for a patient's use of Celexa that causes birth defects. The rationale is that doctors are better situated to warn patients and can better evaluate whether the benefits of taking a particular medication outweigh the risks for a specific patient. In some cases, the failure to warn lies not with the manufacturer but with the doctor. When a doctor knows of a risk but fails to provide an adequate warning to a patient, and this failure to warn results in injuries, it may be appropriate for the patient to pursue a claim or sue the doctor for medical malpractice. If your child suffered birth defects because you were not warned of the risks of taking this drug, the Celexa attorneys at Moll Law Group are available to pursue a claim or sue the responsible parties for damages. We handle product liability cases around the country in states like California, Florida, New York, Texas, Pennsylvania, Arizona, Georgia, and Michigan. Contact us via our online form or call us at 312-462-1700 to set up a free consultation with a product liability attorney.